You don’t have any experience! This is the bane of every fresh university graduate when on the prowl for that ever elusive first ‘real’ job. How can I get experience if people like you won’t give me any ? Solution = Get ‘experience’ now! Build your experience up while you are at university and meet those ’x’ number years of experience before you graduate. This is just another component of fast tracking your career. Work a part time job and/or gain work experience. Don’t just do any job, target one where you will actually learn useful skills e.g. project management. For premium opportunities offer your ‘services’ for free for a specified time period. Start a business (then you don’t have to get a job). It doesn’t have to be the next Microsoft, just something small that you can manage. Write a blog, articles for magazines. I started writing this post before the following article came out in the NZ Herald. The UoA Career Centre Representative suggests you ‘Lower your expectations’ given the current state of the job market. I say definitely be realistic but make sure you sell yourself, use your uni experiences to make them say yes . Research the job you want ASAP, make the job requirements a checklist and start working towards achieving them. As I was writing this post Seth Godin provided a nice extension to the above. Just wanted to flick through a couple of prime job opportunities in the biospace especially considering our current constrained market. 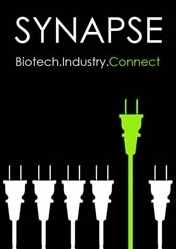 Don’t miss this opportunity to CONNECT with the biotech community.